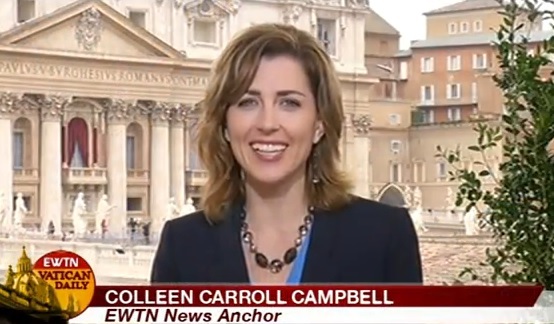 During the Papal conclave, EWTN had the best backdrop, the best commentary, the best guests and the best coverage. All of it free of odd secular political context. Their live coverage on March 13, 2013 when the white smoke billowed from the chimney of the Sistine Chapel was not just better than the national U.S. television media. It was superior. Colleen Carroll Campbell who was EWTN’s anchor for the live event, gracefully moderated her guests when they didn’t know when the smoke would come or what color it would be. The guests were knowledgable and interesting. The guests educated the viewers on the history of the papacy, the conclave and many other things of Catholic significance. The other national U.S. television media just couldn’t do it. That’s why many, including myself, tuned to EWTN and received superior coverage. I don’t mean to throw EWTN into a competition with our secular national media but, EWTN smoked them. “White” smoked them! I hope and pray EWTN can continue to do more. They proved their superiority in this coverage of the conclave that elected Pope Francis. God bless their good work. This entry was posted in Uncategorized and tagged Catholic, Catholic Church, catholicism, christianity, EWTN, papal conclave, religion. Bookmark the permalink. 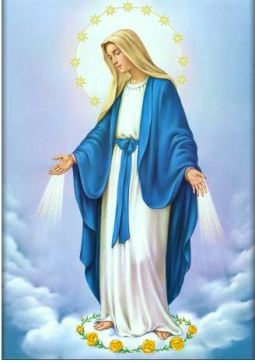 The Catholic Life television Network (Cox Cable 15) in Baton Rouge Louisiana did a great job on the Conclave.